If you didn’t know where to put your makeup, makeup brushes, nail polishes, etc. then I need to say that you are on the right place. I have found 14 mason jar tutorials that you can create and use them as a magnificent makeup storage. You can also use them to store anything you want. If you are a romantic soul, then you can use these jars as candle holders too. Check them out and inspire yourself. Enjoy and have fun! I have found very interesting tutorial that you are going to love. This chalkboard tutorial is perfect for every bathroom and it will store the tiniest item in your home. Beautiful diy painted mason jars that you can use to store your makeup brushes. It is very easy to create it and it will take you just 3-4 minutes. If you want to create something unique and useful, then you should definitely take a look at the picture below. You will need a piece of lace and jar for this project. I like it a lot. Do you? I really like this set of three mason jars. They look pretty cool and will fit perfectly to my home. Check them out and learn how to create them. If you are in a good mood today, then you should definitely try this project below. It looks amazing and it will cost you nothing. You can are creative, you don’t need to copy this pattern, but draw something more interesting and fun. This is the easiest project in this gallery and what you will need to create it is jars and balloons. For this project, you will need only 1 minute, believe me. Pick your favorite colors and make your next embellished jars. 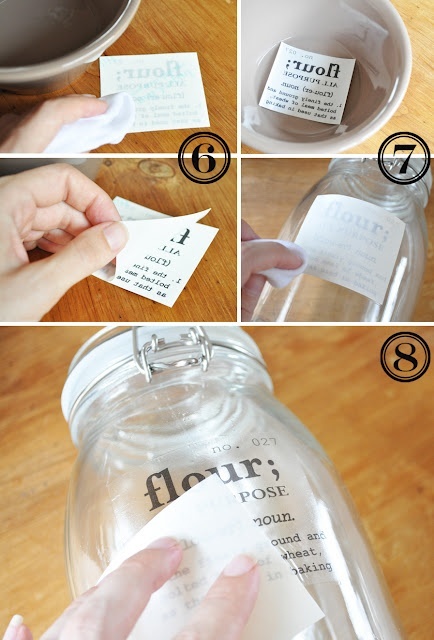 Tape and spray are the materials that you will need to create this amazing jars. You can use them as a decoration, because they look stunning and will add a luxurious effect to your room. You can also use them to store the bobby pins, nail polishes, makeup, etc. Did you know that you can create personalized mason jars easily? This tutorial will teach you how to do that easily, without spending money on a new jar for the flour, sugar, salt, etc. This mason jars look very beautiful and are perfect decoration for every home. They are very easy and quick to make and you can use them to store your makeup, office tools, nail polishes, etc. If you want to relax in a hot tube, then you should definitely add some candles. Candle holders can cost a lot and why spending money, when you can create them at home. This project below is really interesting and very easy to create. This is one of the most fun and interesting project in this gallery. If you want to make your glassware selection more beautiful, then you should try to add a temporary pop of color. You can do that with balloons. What you will need to create this project is mason jars, scissors and balloons. Try to make them for your next party. Stunning ombre mason jars to make at home. I think that this is the cheapest and the best way to add flowers in your home without spending money on expensive vases. 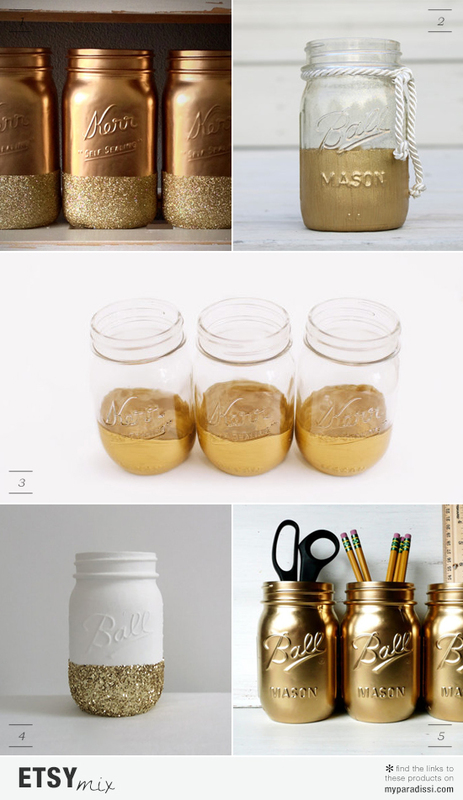 Plus, these mason jars look very beautiful and vintage. 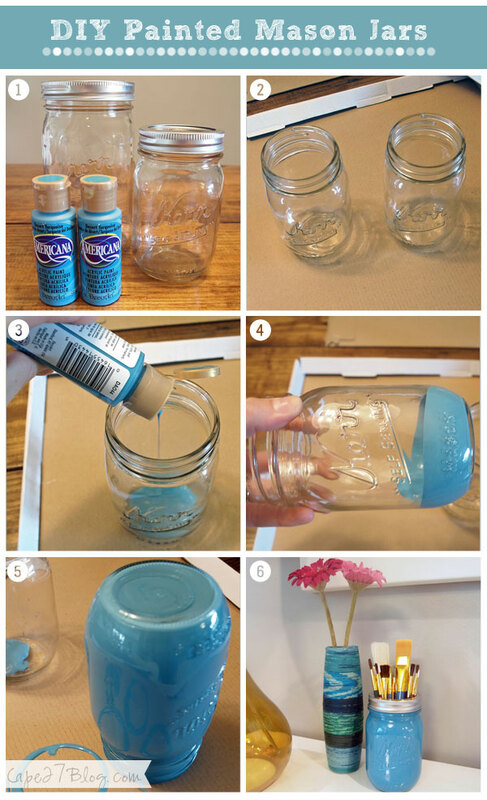 For this mason jar below, you will need these supplies: wax paper, chalk, brush, sand paper and paint. I recommend you to choose some bright colors for your next diy mason jars, to add freshness to your home. These rainbow tinted mason jars below are very easy and quick to create. You will need mason jars, food coloring, mod podge in gloss, newspaper and ramekins to mix colors. You can store your nail polishes, makeup and other tiny items in them. You can also put flowers to decorate your home.